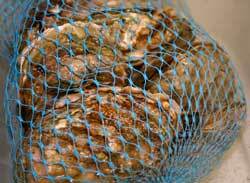 Shellfish Use | Burnaby Bag & Burlap Ltd. 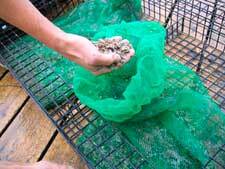 When digging for clams or oysters, poly mesh bags are ideal. They allow you to dig and bag the shellfish while keeping it alive and contained on the beach awaiting collection. 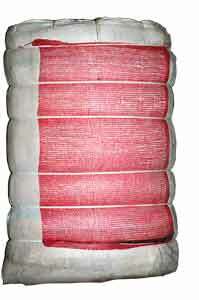 They are available in 10 lb, 25 lb, and 50 lb sizes. 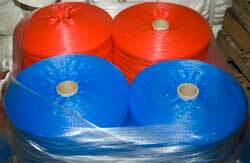 Occasionally people may want smaller sizes for samples etc., tie netting can be a good alternative. Another use for burlap is for covering seeded clam beds to protect them at low tides. Used burlap coffee bags can be reused for collecting shellfish.